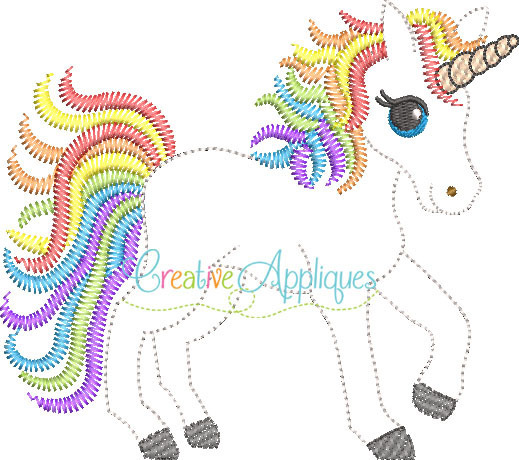 Vintage Stitch Rainbow Unicorn Applique, 4 Sizes! 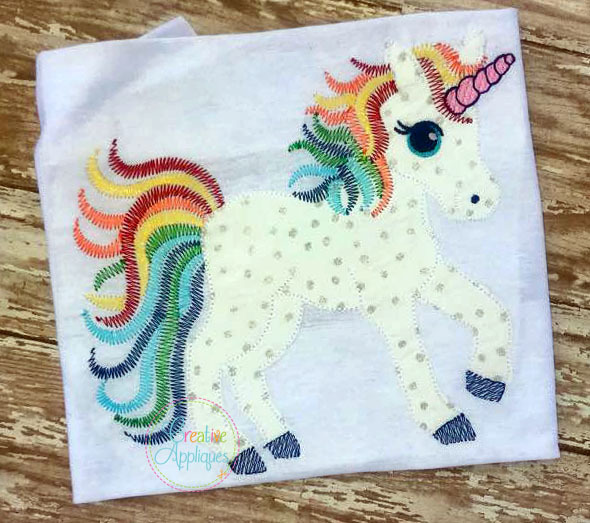 Comes in 4 sizes, uses 1 fabric piece, and includes step by step stitch order chart. Does not include alphabet. 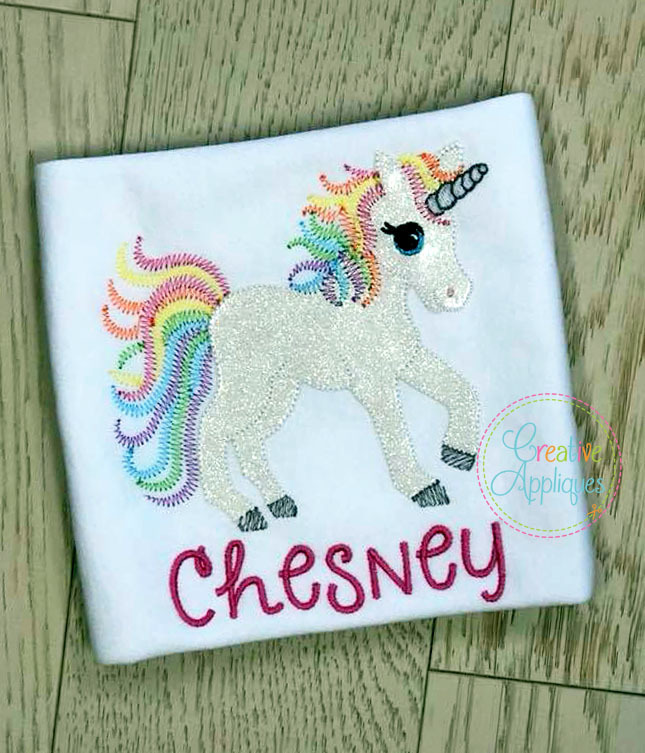 Best Friends Applique - 4 Sizes! Bird with Umbrella Applique - 5 Sizes! Beware of Little Witches - 4Sizes! Fox Boy Applique - 4 Sizes!